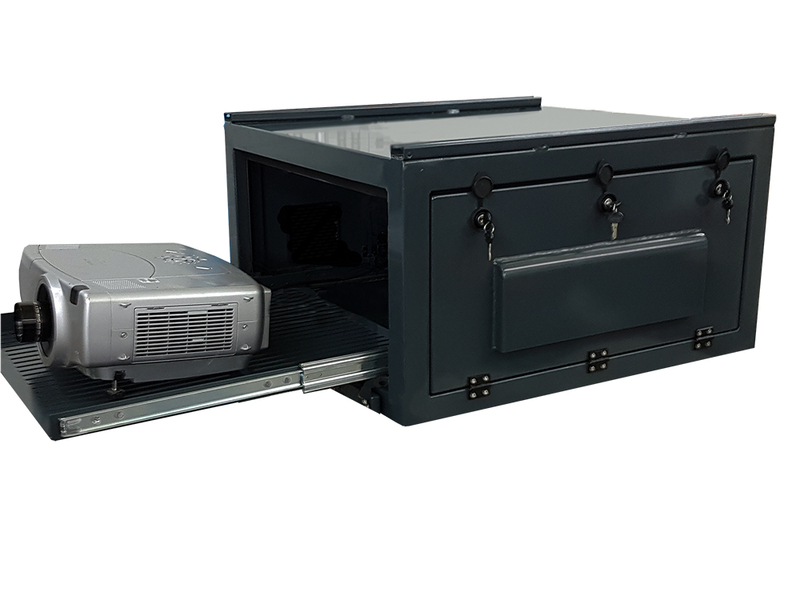 The latest product shipped out by VIZBOX Enclosures is this bespoke outdoor weatherproof enclosure equipped to house a projector and a satellite receiver. 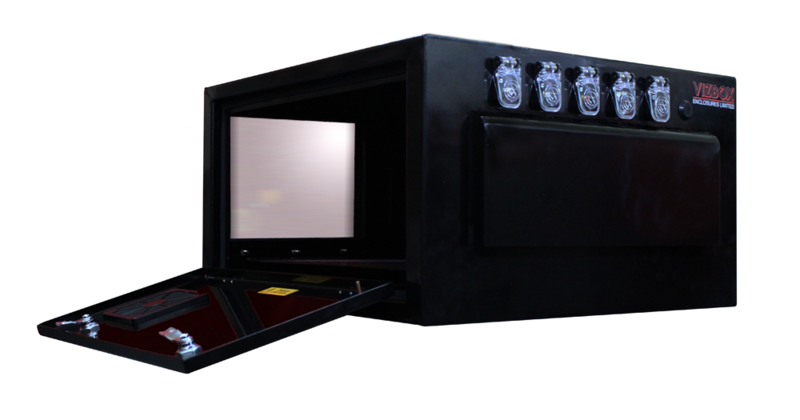 It has a panel-mounted IR receiver for external control of equipment. The environmental housing will be mounted on a VIZBOX mobile projector trolley.